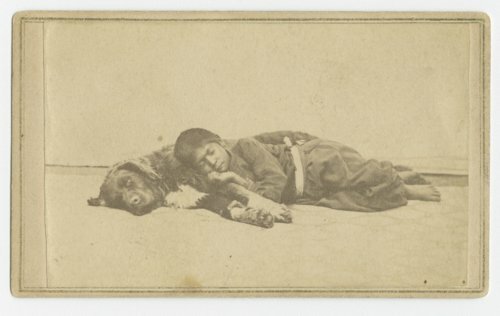 This is a carte-de-visite showing Pete Shirley sleeping alongside his dog. On the back of the photograph, he is identified as a member of the Snake Indian tribe. Pete Shirley was seven years old when this photograph was taken by A. P. Trott, a photographer in Junction City, Kansas.